Two more French Revolutionary War Emigre units marched out of training and on to their barracks today. 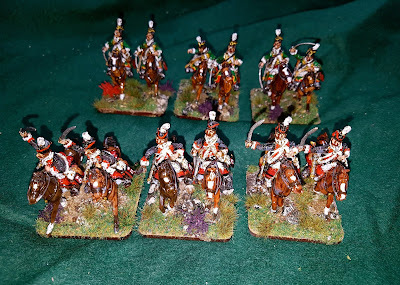 These were painted for me by my mate Barry and I did all the basing. 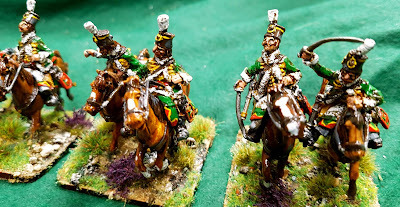 The Salm-Kirburg and Choiseul's Hussars. The Choiseul Hussars were raised in 1794 and fought in Holland before being withdrawn to Hannover then the Isle of Wight. Some squadrons took part in the ill-fated Quiberon expedition and the remainder were shipwrecked off the coast of France en route to India and made prisoner. They were released as the British argued successfully that they were part of the Indian army. 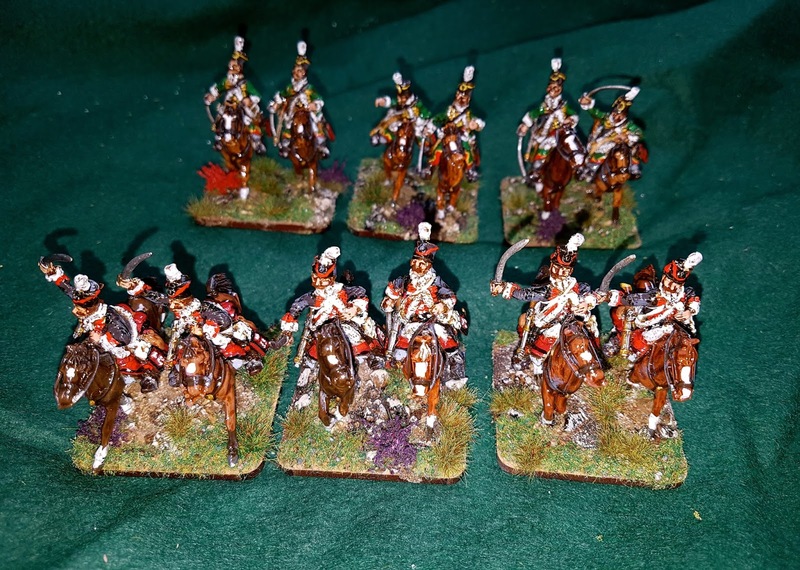 The regiment was disbanded in 1796. 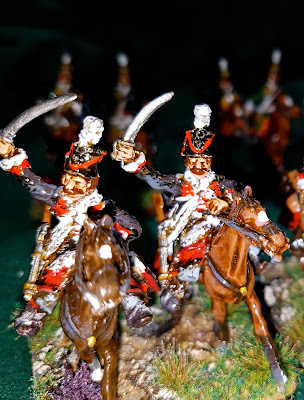 The Salm-Kirburg Hussars were raised in 1791 and originally campaigned with the Army of the Conde until being taken into British service in 1794, joining the Duke of York's army in Flanders. 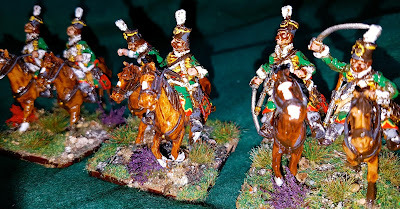 When the Duke withdrew to Hannover the next year the regiment was disbanded. All the figures are Elite Miniatures Austrian Hussars from the FRW Collector's range. Congrats to you and Barry, these hussars are colorful and superb! Fine additions! Northern HQ will need an extension!